While dental crowns allow your smile to look beautiful and can improve oral health by replacing decayed dental enamel, the process for receiving these restorations can be inconvenient. At Powell Dental, we make renewing and improving your smile easy and comfortable with same-day crowns in Southeast Portland. With our advanced imaging and on-site milling technology, you can receive a new, customized dental crown in just one visit. To help patients enjoy the best of what modern dentistry has to offer, Dr. Blair uses precise imaging with a 3M True Definition scanner and can fabricate crowns and other restorations in-office with his GlideWell milling machine. Instead of using standard, goopy impression trays to obtain a model of your teeth and bite, Dr. Blair uses a small, hand-held wand. 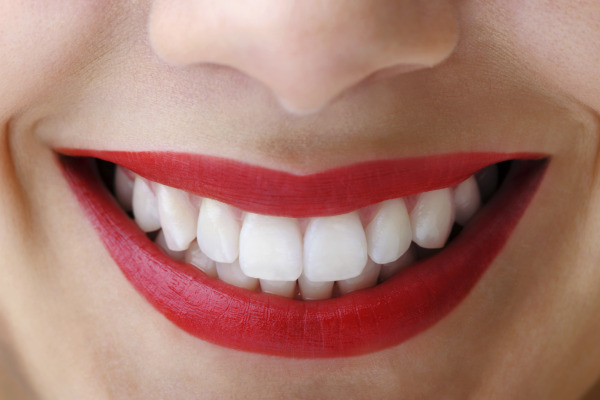 When held up against certain portions of your smile, the wand can capture images that are used to build a virtual, 3D model of your teeth in our computer software. Once your crown has been designed to fit with existing teeth, information captured by our intra-oral scans are sent to the milling equipment, where your crown is produced from a solid block of porcelain in under 20 minutes. Comfortable Treatment Planning – Impression trays that are routinely used to capture the shape and alignment of your teeth are bulky, messy, and can trigger gag reflex in sensitive patients. Using precise digital tools eliminates the need for impressions trays, so you don’t have to worry about being uncomfortable while Dr. Blair works to restore your smile. No Need for Temporaries – Getting a lab manufactured crown means waiting two weeks for your permanent restoration and wearing a temporary crown in the meantime. By milling and placing your permanent crown in the same appointment, you don’t have to wait to enjoy a completely restored smile. Conservative Dentistry – Our on-site milling equipment is designed to create crowns out of solid porcelain and ceramic. These tooth-colored dental crowns require less preparation of dental enamel, compared to metal-based crowns, making it easier to preserve remaining healthy tooth structure. Precision Fit - Our 3M digital scanner provides for improved accuracy in imaging to create a number of complex restorations. At Powell Dental, our same-day restorations fit and feel better than standard treatment, as they are designed in-house from detailed digital pictures of your smile. Dr. Blair creates beautiful and durable smiles with E-Max crowns. These restorations utilize quality material that is specifically selected for its strength and longevity. Our Portland same-day crowns are excellent for improving bite balance, looking natural, and standing up to patients who are hard on their teeth. If you have a severely damaged tooth that needs to be repaired and restored, you don’t have to wait weeks for treatment. At Powell Dental, we can expertly plan, design, and create your permanent dental crown in under an hour. Contact our office today to find out if our one-visit crowns can help your smile.